Pune may not be near the sea, but its vicinity to rivers, dams, and backwaters makes up for that. Amidst the lush greenery of the Western Ghats and the Sahyadris, these dams and their backwaters make for an amazing setting, especially during the monsoon season! There’s plenty to do in the form of adventure activities, or you could take it easy with a stay-cation instead. Here are 5 dams near Pune which you should check out, this monsoon season. Koyna Dam – Koynanagar – is a 4hr drive from Pune (approx 196 km) via NH48. Though the dam itself is inaccessible to the public (for security reasons), you can visit the nearby Nehru Garden (2-3km drive from Koynanagar) for a spectacular view of it from the hillside. The Ozarde Waterfall – one of the largest falls (200m) in the Sahyadris, and a gorgeous sight – are also a point of interest nearby. Read our full recommendation for exploring Koyna, here. The backwaters of Pawna Dam, is another popular spot for locals and tourists, alike. Only an hour and forty minutes’ drive (around 63km) from the city, Pawna provides an opportune setting for kayaking, fishing, swimming, BBQ-ing, and camping. It’s a little slice of paradise for the adventurous traveller. If you’re game for camping at the lake-side, read more about Pawna in our recommendation here. For those who prefer a bit of luxury when they travel, or would rather a more romantic stay-cation, check out Mawi Infinitty Villas at Pawna, here. Panshet Dam, aka Tanajisagar Dam – is about 1.5hrs (50km) away from Pune by road. There’s plenty to do here, from banana boat rides, to speed boating, kayaking, rowing, and more that you can find happening here, starting at approx INR 500. The Panshet Valley Resort is an agri-tourism resort in the vicinity and offers rustic accommodation, delicious local-style food, and plenty of outdoor activities to choose from. We think they’d be a good place to stay at if you’re keen on exploring the area. Read more about them, here. Undoubtedly one of the most popular dams outside Pune, Mulshi Dam is located approx 2 – 2.5 hrs’ (75km) from the city. Being a popular tourist spot, there are plenty of resorts here that provide accommodation through the year – though of course, monsoon is an ideal time to visit. It’s a stunning destination for a road trip, picnic, day-trip, or a long weekend stay-cation. #LBBTip: During the monsoon, excess water from the Mulshi Dam is let out into the Kundalika River at Kolad – which is the only spot in Maharashtra suitable for white water rafting. Read more about it here. 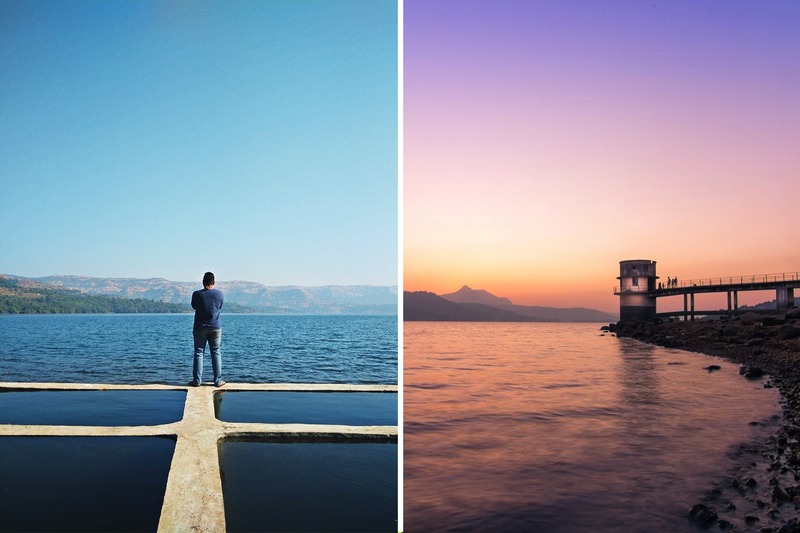 Located just an hour’s drive (15km) outside Pune, Khadakwasla Dam is one of the oldest reservoirs (1863), with roots that date back to India’s colonial era. It’s also the main source of water for Pune, and quite a few important facilities are located within its vicinity – like the NDA, CME, and Central Water and Power Research Station (CWPRS). Picturesque surroundings make it an ideal spot for picnicking, street food at the nearby ‘chowpatty’, and for watching the sunrise/sunset. #LBBTip: Sinhagad Fort is also close by, and if you’d rather stay overnight near Khadakwasla – check out this boat-style cabin that is built over the lake. If partaking in any water sports, we recommend you carry an extra set of clothes beforehand. Remember to be extra careful when venturing into the water during the monsoon season! Also, check out this eco-friendly campsite at the backwaters of Warasgaon Dam, here.